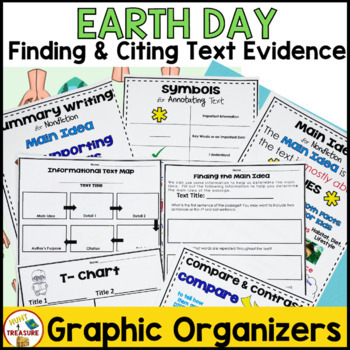 This Writing resource is perfect for having students read passages and learn to find and cite text evidence while learning about Earth Day. 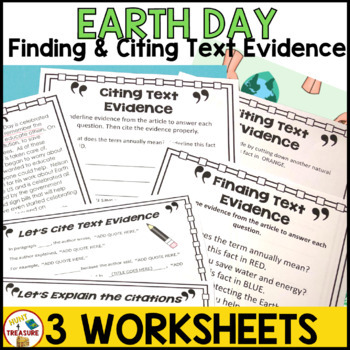 This resource has been used to help cite text evidence for FSA Writing and has proven to benefit student success. 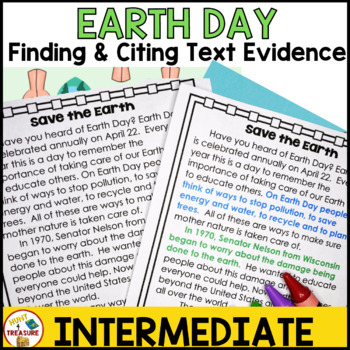 It can also be used to just have students underline specific text evidence if your students do not need to cite it but they need to find evidence in a text. 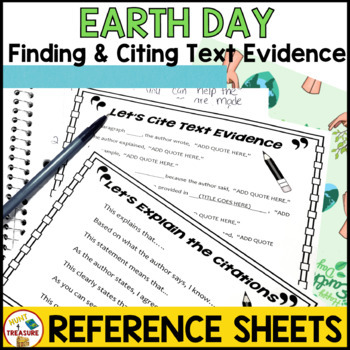 The overall text complexity for 4th and 5th grade is lower so you can focus on teaching how to cite text evidence with this resource. The text would also be appropriate for 3rd graders to find text evidence.